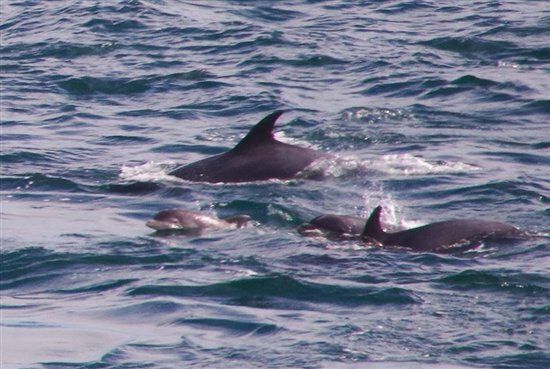 Mull of Galloway - Blog Harriers, owls and dolphins! Autumn has really struck the Mull of Galloway this past week. Strong chilly winds and frequent showers interspersed with warm sunshine and gentle breezes has led to a real mix of conditions. 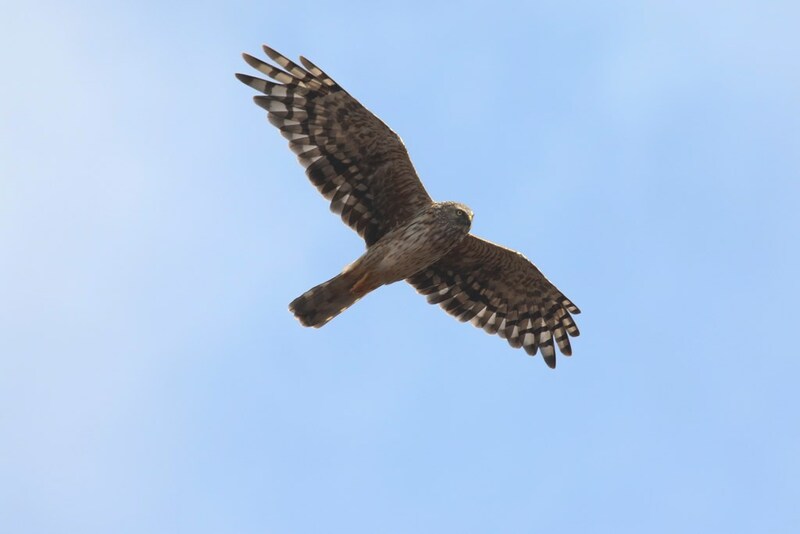 Autumn has also been marked by the increase in migrating birds passing through or over the reserve. Early visitors to the Mull of Galloway can be treated to large numbers of swallow, house martin, pied wagtail and meadow pipits passing overhead, often in the hundreds. Various warblers have also been seen including whitethroat, reed warbler and the devilishly tricky to identify willow warbler/chiffchaff. A ring-tail hen harrier was spotted over two days last week and this week we have been treated to frequent sightings of a short-eared owl which unlike most other UK owls will regularly hunt during the day but mainly around dusk and dawn. Peregrine and kestrel have also been seen patrolling the reserve. Gannet are still a frequent feature of the seascape although numbers have reduced. Shag will remain on the cliffs all year round and can easily be spotted from the corner of the lighthouse or foghorn viewpoint. Another year round feature, but one that is harder to spot is the black guillemot which at this time of the year look more grey than black. 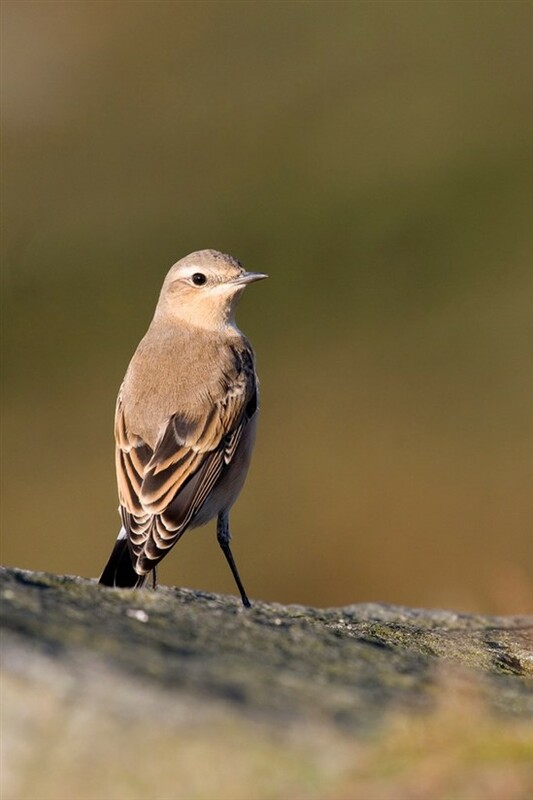 Rock pipit are often found around the foghorn area which is also a good spot to look out for departing wheatear. Large groups of goldfinch are regularly seen feasting on the sunflower seeds made available to them at the visitor centre and plenty of linnet can be found foraging among the heather. Raven with their distinctive cronking call have been heard and seen most days. A few butterflies have still been around, mainly red admiral and small tortoiseshell along with painted lady. Fox moth caterpillars have also been a common sighting this past few days, often found around the boardwalk area. 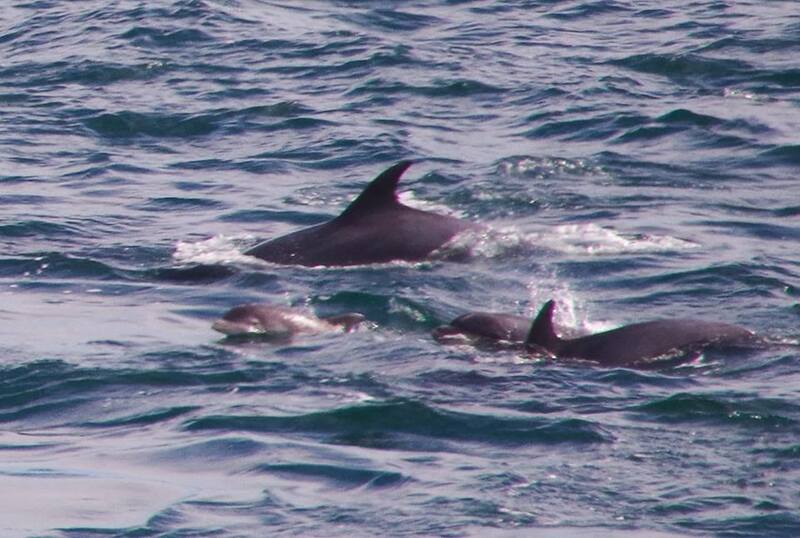 Just over a week ago we were treated to a pod of around 20 bottlenose dolphin split in three groups feeding around the Mull, often so close in you could hear them blow as they surfaced. Grey seal and harbour porpoise have also been recorded and roe deer have been spotted browsing among the bracken.